HUMBUG: The Great P.T. 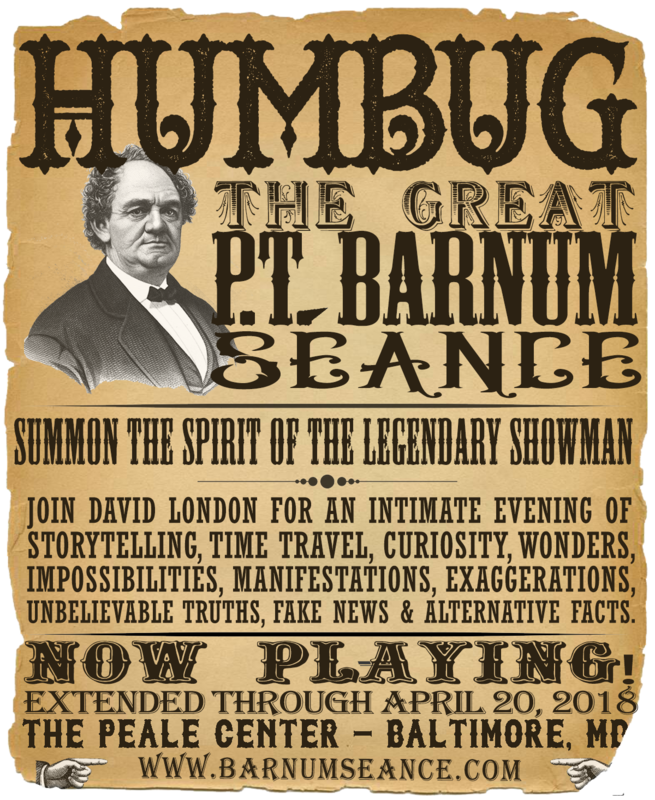 barnum Seance is now SOLD OUT. Thank you to all who attended! Hear the incredible true stories of Barnums life! Encounter genuine artifacts* from Barnums career! Nightly seatings Thursday through Sunday at 7pm. Additional seatings Friday at Saturday at 10pm. Doors open 30 minutes prior to each seance. David London is a storyteller and magician who creates and presents original interactive magical experiences. 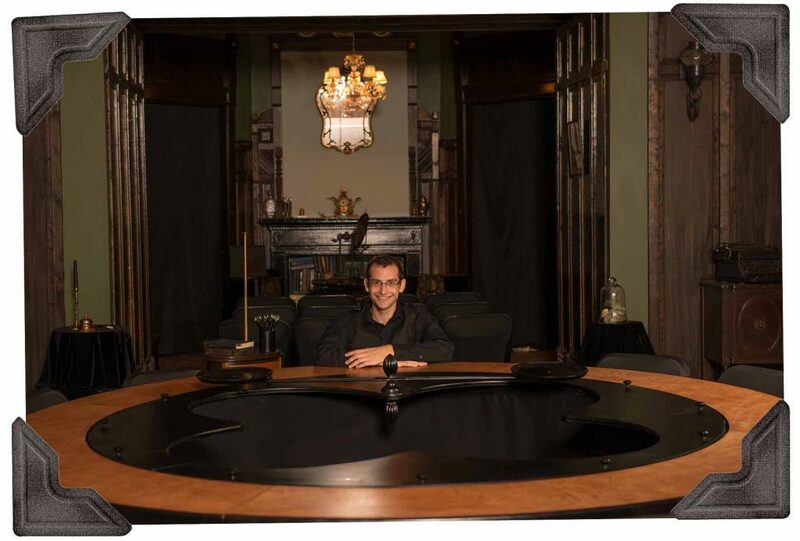 He has staged six original theatrical magic productions, including Magic Outside The Box, The Adventure to the Imagi Nation, Cerebral Sorcery, and Art of Dreams and authored eight manuscripts related to magic and illusion, including Daydreams, Borderland State, and Imagining the Imagination. He regularly presents his performances, talks, workshops and seances at theaters, museums, galleries, and festivals across the United States.